Amazon's first smartphone, the Fire Phone, has gone through a new teardown analysis by the research firm IHS that claims the handset's build cost is more than that of the Apple's iPhone 5s. Earlier this month, repair and teardown specialists iFixit had posted a teardown analysis of the newly launched Fire phone. Recode cites an as-yet-unreleased report by IHS research which sheds light on the cost of internal components of the Amazon Fire smartphone. 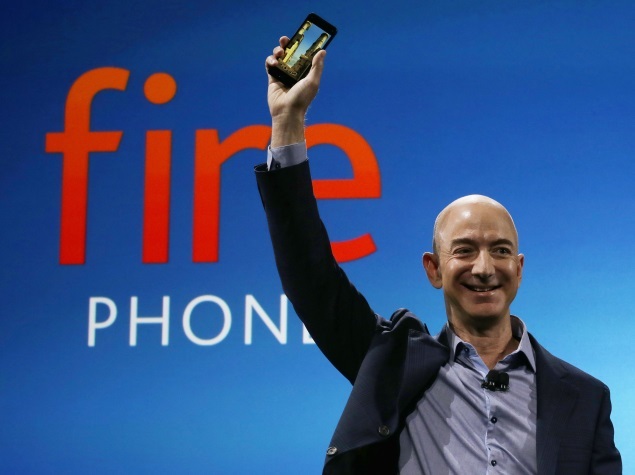 The report said that the Amazon Fire smartphone's components used in the assembling reveal a combined cost of $205. Further, the component cost of the Amazon's first smartphone is said to be lower than the Samsung Galaxy S5 (Review | Pictures); although is above that of the iPhone 5s, claims the report. Unfortunately, the firm has not listed the cost of each component used in the Fire smartphone. Notably, the Amazon Fire has been priced at $649 contract-free and is also available at $199.99 with an AT&T contract. One of the highlight features of the Fire phone was the "dynamic perspective", which is touted to redraw an image 60 times per second to deliver a 3D perspective. The company has packed four front-facing infrared sensors for this function. The report claims that the sensors have been supplied by Omnivision. Andrew Rassweiler, the IHS analyst who supervised the teardown, told Recode, "It's the one ... unique thing about this phone. Whether or not users find it useful is another question. Other than that, it's a pretty standard mid-range phone from a hardware perspective." The iFixit teardown had revealed that the Fire phone packed chips from Qualcomm, Samsung, NXP Semiconductors NV, Synaptics and Skyworks Solutions.